Friends of Ottawa National Wildlife Refuge - Sponsor a refuge intern. Ottawa National Wildlife Refuge interns make a huge impact for conservation at your national wildlife refuge. Most volunteer interns are college students involved with Biology, Conservation, or Environmental Studies programs. While gaining valuable work experience and assisting refuge staff with projects, refuge interns live and work at Ottawa National Wildlife Refuge for 13 week terms. 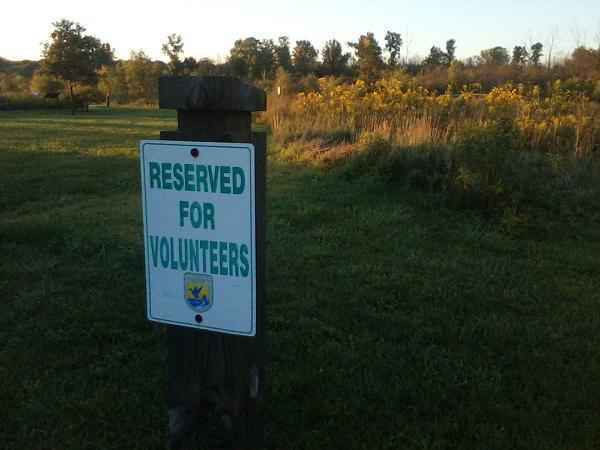 These volunteer internship opportunities are offered at Ottawa National Wildlife Refuge year-round as resources are available. While the refuge provides free housing for interns, they do not have funds available to pay them for their time. Friends of Ottawa National Wildlife Refuge provides living stipends for interns at a rate of $175 per week for a total of $2275 per internship. The offer of a place to stay, a small living stipend while learning about conservation is a huge draw for students across the country. There is need for a total of ten, 13 week intern stipends per year, but our available funds cannot support this. Other worthwhile programs like supporting habitat restoration and public use projects compete for the limited funds that FONWR can provide. You can sponsor an intern for $175 a week, or sponsor their entire experience for $2275. Together we can make a difference. Want to help, but not ready to make the $175 contribution? Use the custom amount of $3.40 and set the frequency to "weekly" for one year to make an impact a little bit at a time.